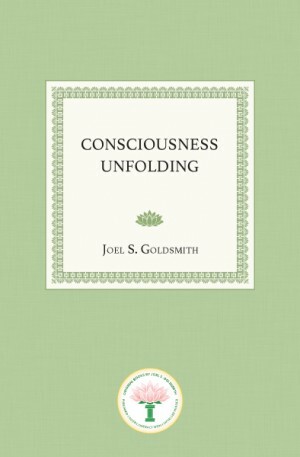 Since God is my own consciousness, Goldsmith says, “all good flows out from my consciousness every moment of the day or night. Where I am, that Consciousness is; where that Consciousness is, I am. Therefore, right at this moment, all of the good I need, and all that I shall ever need, is flowing out from the center – right where I am.” It unfolds from within. In light of the revelations in Consciousness Unfolding, Goldsmith counsels the seeker: “Let your efforts not be to change the outer picture. Rather, direct your efforts toward realizing truth, love, life, as the very nature of your being.” Then you can relax and let this Presence within unfold Itself in all of its infinite beauty and perfection. For those who want to follow this promising spiritual path, Consciousness Unfolding will be a treasure. This book is based on transcripts of the 1948-1949 classes in San Francisco and Los Angeles, for which no tapes are available.